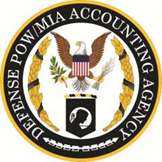 The Defense POW/MIA Accounting Agency (DPAA) is offering a career broadening opportunity for a 180-day Detail for General Engineer at Joint Base Pearl Harbor-Hickam, HI. This position serves as the Agency’s Chief Engineer (GS-0801-13) and reports to the Director of Logistics, a U.S. Army Lieutenant Colonel. The Chief Engineer leads a wide variety of projects ranging from major facility renovations to facilities design and construction throughout the United States and overseas. The Chief Engineer effectively interacts with multi-discipline teams both within the Agency and with other Defense Agencies, Combatant Commands and other US Government Agencies. The Chief Engineer professionally represents the Agency to high ranking American and foreign government officials to progress projects and gain the desired results which have far reaching, strategic effects. The candidate’s salary along with all expenses remain the responsibility of the employee’s original organization. Interested candidates should submit their resume in the format of their choosing by 19 Oct 18 to the DPAA Logistics Director, Lieutenant Colonel Irving Cross via e-mail: irving.h.cross.mil@mail.mil.